Industrial vibe is what it is all about in interior design these days. And concrete effect tiles are one of the outcomes of this trend. Almost everything around us these days involves the use of concrete. And for good measure. It is durable, sturdy, and effective. But concrete can also be elegantly rustic. It is also the earthy appeal which makes concrete so sought after these days. And if you’re looking to bring tiles which mimic the industrial concrete and its warmth, then we have something for you – our collection of concrete effect bathroom tiles. 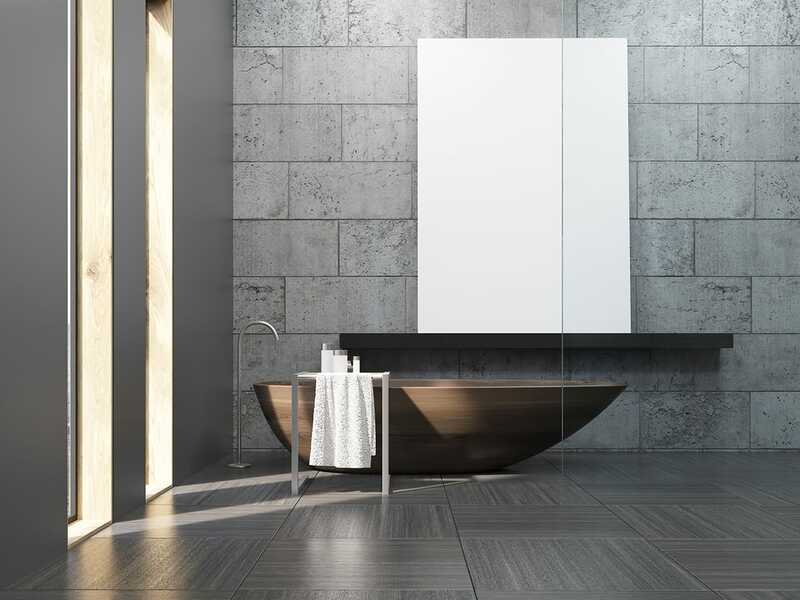 Whether you’re looking to give your bathroom walls or floor a streamlined appearance or want to bring a realistic rugged, concrete effect to it, we have concrete bathroom wall tiles which will do it perfectly without any hassles. Known for their wonderful earthy and calming tones, our collection of concrete effect bathroom tiles will introduce an industrial feel and a cozy feel to your bathroom or wet rooms. Available in a range of tranquil patterns, hues, textures, sizes and styles, our concrete bathroom tiles will bring a simple, polished feel to the setting. From greys to beige to weathered whites, we have concrete bathroom tiles which will bring a comfy feel to the setting. And if you have some creative ideas on colors or texture, then do let us know. Our team will create the perfect customized bathroom tiles according to your needs. Whether it’s your home, restaurant or hotel walls, shopping malls or universities, industrial area or office space, these decorative concrete bathroom tiles will blend in perfectly to give you a modern, warm space. Our concrete tiles have a sense of depth and elegance which will make your otherwise bland interior space a whole lot interesting. Manufactured from high quality materials and our advanced printing technology, these bathroom tiles are highly durable and versatile. They are inexpensive, easy to care and maintain and will spread beauty in your interior space till times to come. Our tiles have a wonderful balance of flexibility, functionality and beauty which makes them a favorite amongst architects, designers, contractors, home and business owners. A quick and easy way to make a big visual statement in a relatively small budget, these concrete effect tiles will help you craft a delightfully modern, warm space.